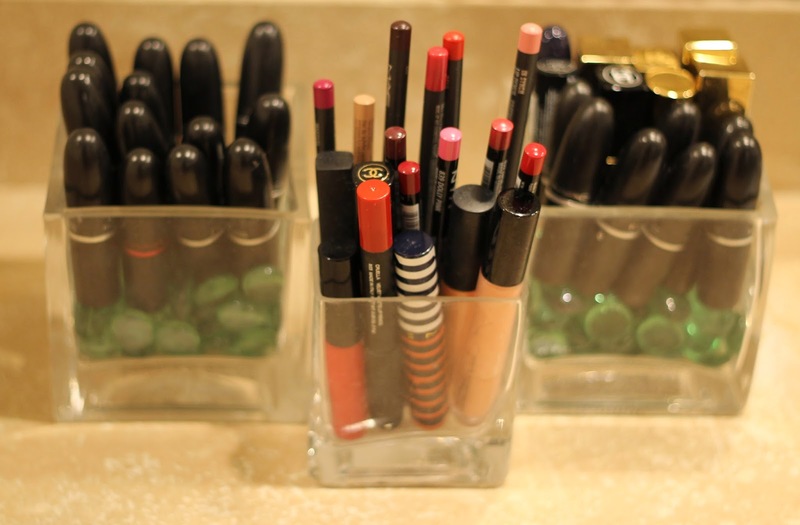 I keep my lipsticks and most of my makeup brushes displayed on my counter... I do this one, because I like the way it looks and two, I never know what lipstick I am going to want to wear that day, so they are easy to get to when they are sitting out. This is my everyday makeup bag. 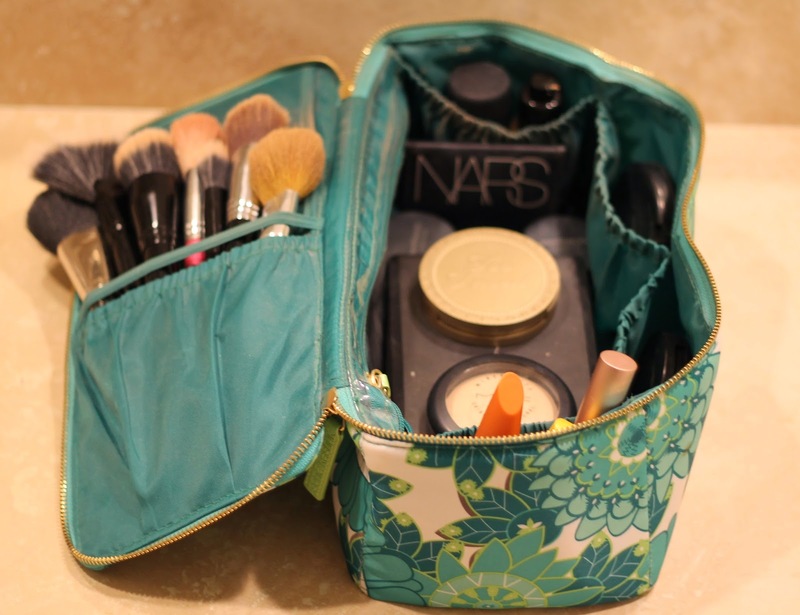 I like to have the makeup that is part of my everyday routine in a separate bag so it is all together, its easy to get to and if I am traveling I will usually just bring what is in this bag. 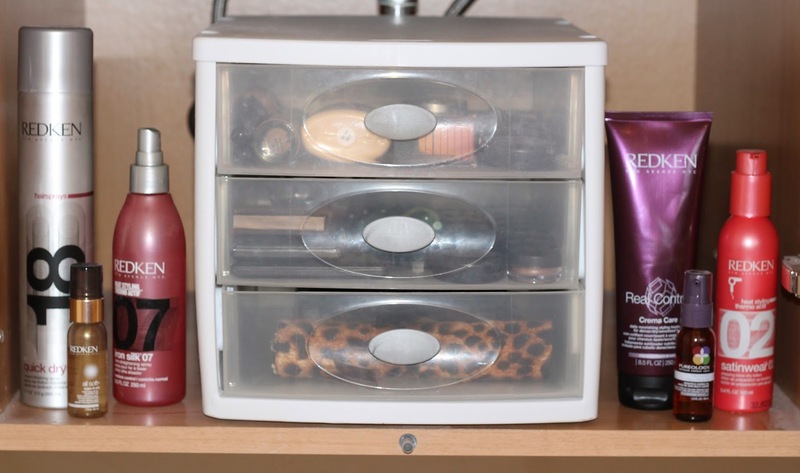 And this is how I store the rest of my makeup along with my hair products that I use the most. I have this under my sink. 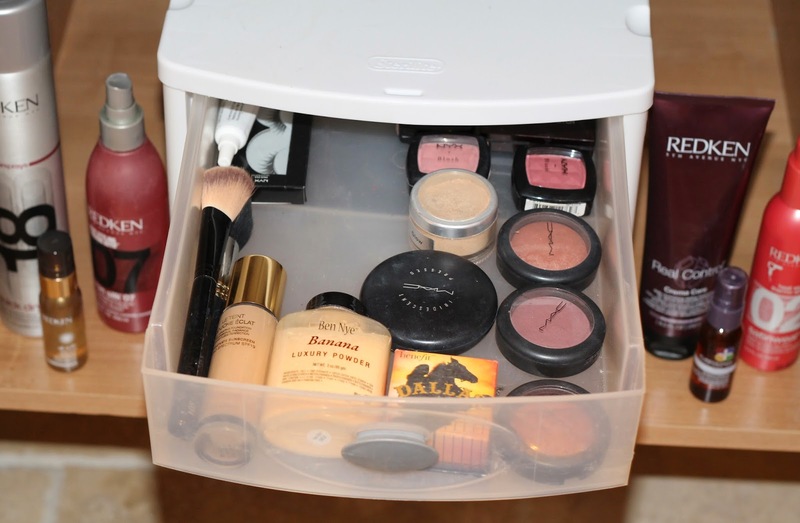 The first drawer is face products like foundations, blush or powder. The second drawer is eye products. Mostly eye shadows and eye liners. ANd the third drawer is for makeup brushes. These are just two pictures of the counter top. 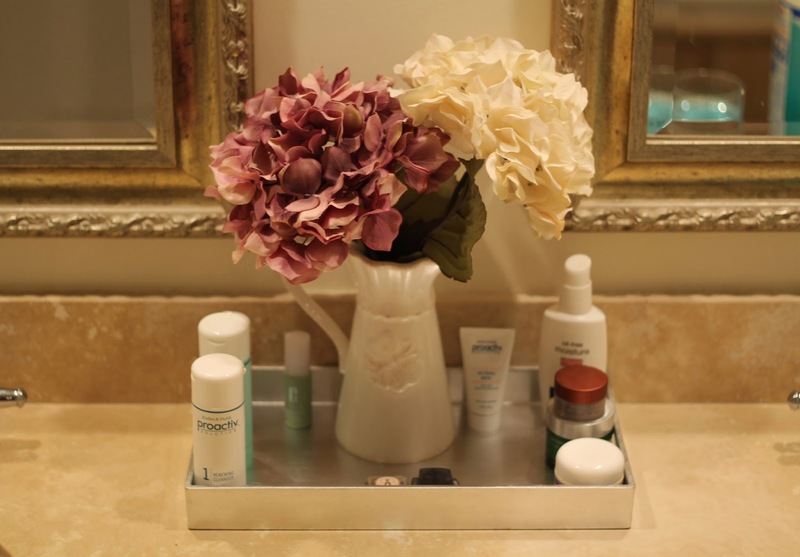 The first one is in between our two sinks and I keep all of my face products that I use every night on the tray so they are easy to get to. So if you haven't already noticed from these pictures I have a mild case of OCD when it comes to things being organized. Especially my makeup, clothes, shoes and jewelry. I just like things to be easy to find when I need them and I guess I am a clean freak and I hate clutter. I have just always been this way. I am always throwing things away that Matt needs because I hate having papers and random things all over the counter. He hates it. I didn't put links to everything because that would take me all night. But I am planning on doing a everyday makeup tutorial next week that will just show what my go to products are so I will link everything then. I am also thinking of doing a closet post as well... what do you guys think? An everyday makeup tutorial would be awesome! You have everything so organized! Love it! You're so organized..jealous! It looks great! 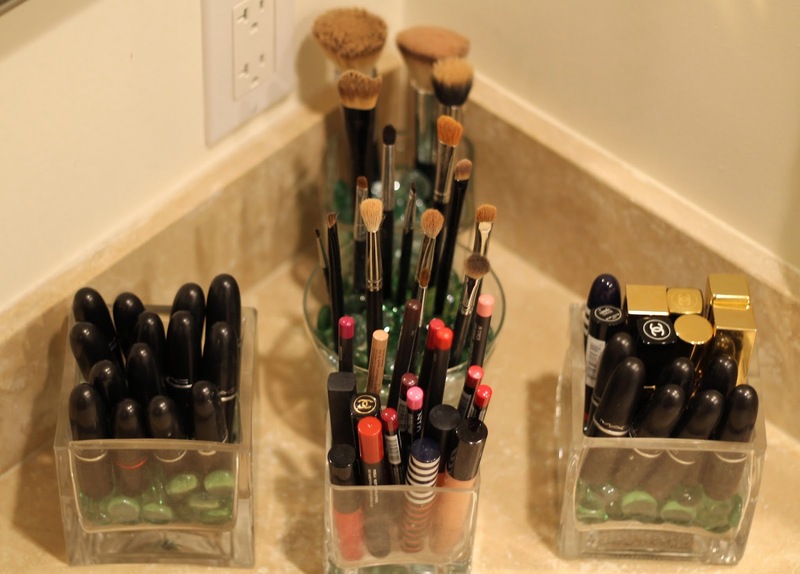 I display my makeup brushes the same way, I love how it has an organized look plus it's super convenient to find the brush I need. LOVE how you organized everything!! 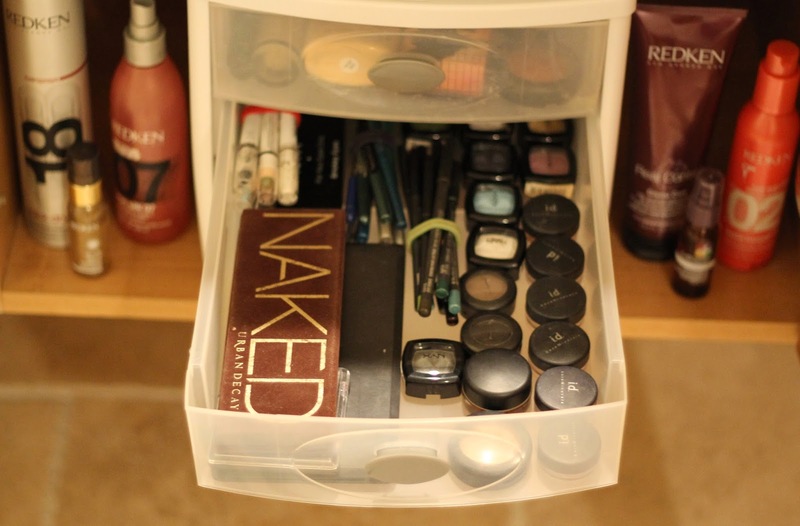 My make-up storage is somewhat similar. 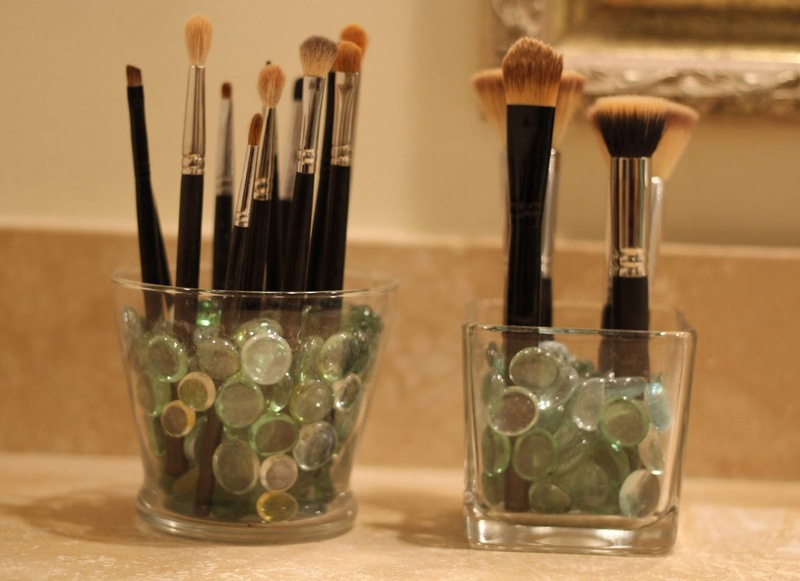 I also keep my brushes (and eyeliners) in vases. wow you are so organized! 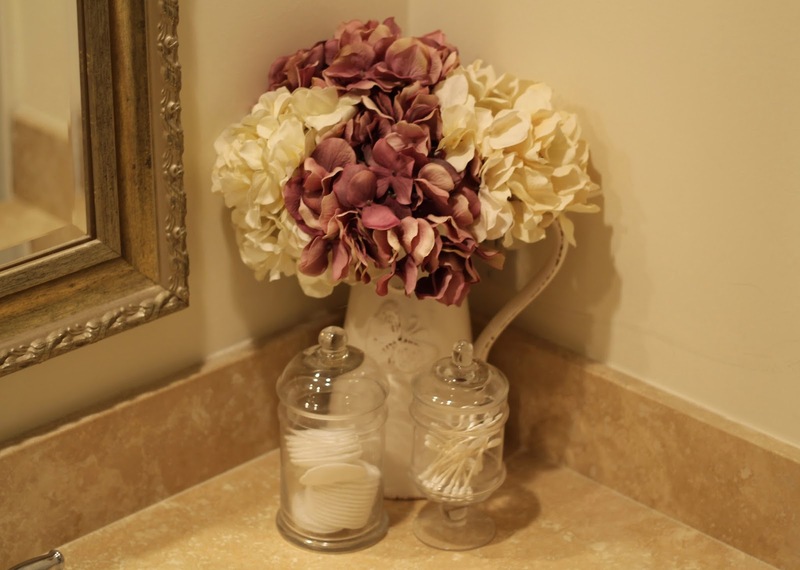 your bathroom looks pretty! and c) YES DO A CLOSET POST!! Love this! Would love to see how you organize your closet! Mine is such a sore spot for me. Can you do a closet post ?